Mission Statement: Environmental Impact Assessments depend on our ability to determine whether variability in biological community compositions, organism abundances, distributions, sizes and reproductive status are within naturally-occurring levels or have occurred as the result of anthropogenic disturbances. 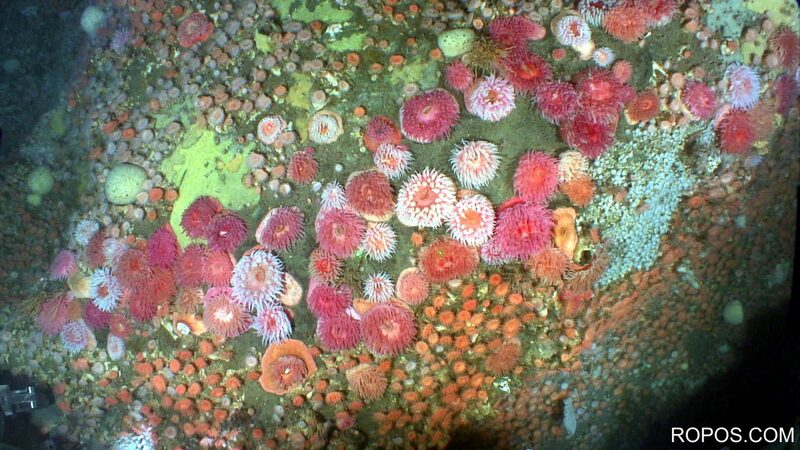 For disturbances that are likely to cause local extinctions, such as some deep-sea mining scenarios, larval supply and their ability to recruit to and survive in the altered habitat will govern the recovery potential at any given site. The acquisition of such baseline data should ideally be done in a minimally intrusive fashion so as not to impact the environment as a result of such baseline surveys. Protocols for surveys, subsequent analysis and data sharing should be standardized to enable comparisons of datasets obtained at different sites, at different times and by different people. This DOSI working group aims to identify and disseminate technologies that would enable the above goals to be met. 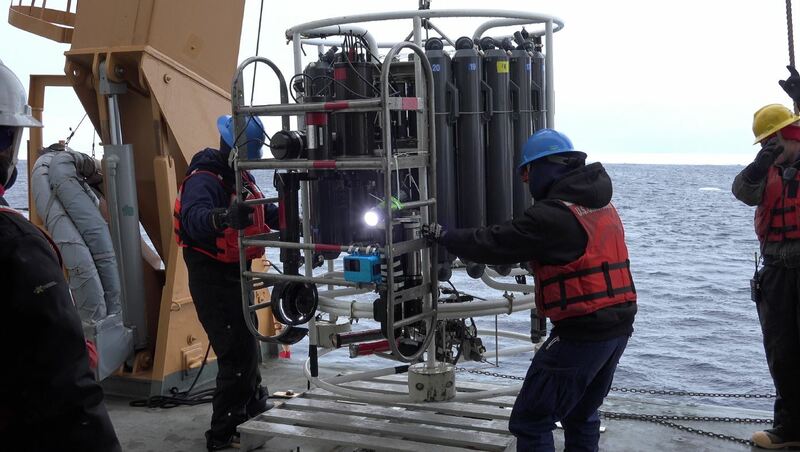 a re-engineered digital Continuous Plankton Recorder, in order to capture the fine-scale distributions of larvae around vents to help in efforts to model larval dispersal between sites and assess connectivity. 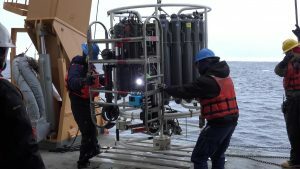 These technologies will be deployed on a towed camera array that will also have an Autonomous Visual Plankton Recorder (VPR) and a prototype 4K VPR imaging the same water parcel. 2) Work continues on the development of software to bridge the gap between high quality video data collected in situ and currently available cloud-based image annotation tools, and on easily implementable protocols for meta-barcoding analyses of deep sea meiofauna. Watch this space! 1) A first workshop aiming to identify and review current and emerging technologies relating to underwater image acquisition, real-time and post-cruise image annotation, data sharing and archiving was convened in November 2015 in JAMSTEC and was funded by JAMSTEC, the Schmidt Ocean Institute and the Australian Embassy in Tokyo. 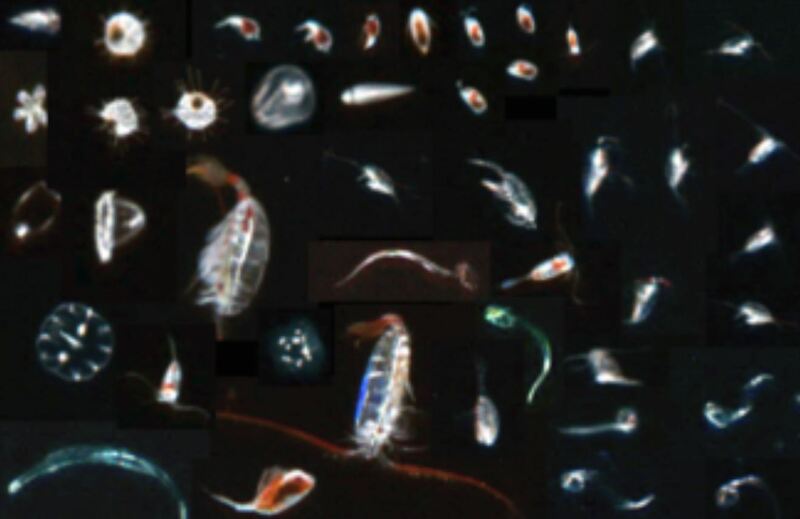 See DOSI New Technologies WG Marine Imaging Workshop Report – December 2015 for further detail. 2) Outcomes of the DOSI workshop were presented at the Marine Video Workshop, March 2016, Rhode Island, USA. 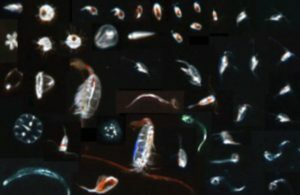 3) An intercalibration experiment comparing the datasets collected with an Autonomous Visual Plankton Recorder (VPR), an Underwater Video Profiler (UVP) and a GoPro in a pressure housing with controlled lighting was carried out during the Hidden Ocean cruise to the Arctic Ocean in boreal summer 2016. 5) Identifying technologies needed for Midwater Exploration and surveys, including vent plume work, were discussed during a workshop at the Ocean Sciences meeting in Hawaii. 6) 2nd EcoDeep Workshop, March 2017, Tokyo, Japan.